Imagine that people has wings and they can fly from one country to another without any boundary. But it is only possible in dreams,not in reality. Because we have boundaries and also have limitations. So we need authorization to travel from one country to another. And this authorization is called passport. Passport, a very important and necessary thing for a citizen of a country which gives him/her the identity and citizenship of that country in which he dwells. 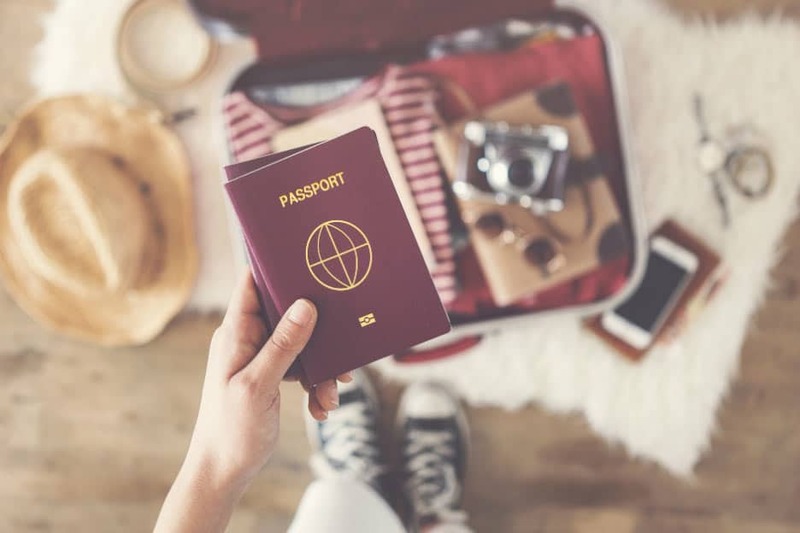 Literally,a passport is an official document issued by the government of that country containing someone’s personal information including the person’s photograph that allows a person to travel other foreign countries and authenticating the bearers identity. More or less we all know about passport and its uses. But all the passports are not the same regarding its texture, content and outlook. The design of a passport can introduce the culture of that country. Some countries have interesting passports in various aspects. Today I am going to introduce World’s 10 coolest passport. China a country with colors and culture,has amazing passport for its citizen.China first issued passport in the year 1949. In 2014,China ranked first on issuing passport,they issued 16 million passports and in 2017 they issued over 100 million passports.And the design of Chinese passport is an example of creative art. It contains Chinese icons like great wall of china surrounded by stars which shines under ultra violet ray. Just amazing. The Canadian passport is a epitome of designer cleverly made passport. In ordinary light it looks simple but it also contains UV light secret. Under black light its national icons and images like Niagara falls, the parliament hill, technicolor maple leaves and the father of confederation glows. It is also considered for security purpose also. Australian passport in its outlook looks simple and plain featuring kangaroos,platypuses,emus which pay tribute to country’s idiosyncratic biology. But the pictures actually contains some hidden security mark. An image of a kangaroo that seems to float above the page when tilted in a particular angle which makes it extremely difficult to forge by anyone. Due to its impressive design Finnish passport is another beautiful piece of creative art. Its pages doubles like a flip book. If you quickly turn over the pages you will find a moose which is walking. The Swiss passport has ranked the fifth most powerful passport in the world. Its bold color, simple design and the font of the text are a sheer beauty. And the geometric patterns under the pages are phenomenal. New Zealand’s passport has its unique design. It narrates the story of the travelers and the navigation history of that country. New Zealand is surrounded by water, so travelers like early Polynesian to Modern kiwis travel to the country. Each pages of New Zealand’s passport contains the journey of the travelers and the tools they used to learn about New Zealand throughout the era. For security reason the British passport is redesigned in every five years and introduces a new design. The inner pages of the passport are remarkably designed. It contains the parliament house, Shakespeare’s globe theater, the London eye, Titanic Belfast. The country is well known for its tourist attraction. The Indonesian passport also reflects the beautiful scenario of the country. It contains the picture of largest lizard on the earth named Komodo, the largest flower named Rafflesia, a single horned Rhino named Badak Jawa, a bird of heaven and a turtle. The Philippine passport was redesigned in the year 2016. The passport reflects the natural beautiful places such as landmarks, the wings of the cockatoos in national colors, the Mayon volcano of Bicol, metro Manila skyline.